Welcome to TAMUK Digital Herbarium !! 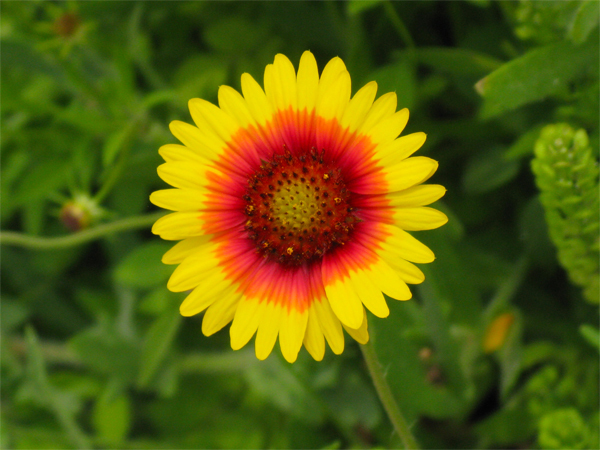 The Texas A&M-Kingsville Herbarium (TAIC) contains approximately 7,000 specimens of vascular plants. It was established shortly after the opening of South Texas Teachers College in 1925. The college name was changed to Texas College of Arts and Industry in 1929, and our official herbarium abbreviation TAIC derives from that name. In 1967, the institution became Texas A&I University and our most recent name change occurred in 1993. Throughout the years and the name changes the herbarium has remained as a resource for the study of the plant life of South Texas. Our holdings are primarily from the immediate area, predominately Kleberg , Kenedy and adjacent counties. In addition to our vascular plants, we have through the work of Dr. Cynthia Galloway, large holdings of non-vascular plants such as Mosses and Lichens. Located in South Texas, the Texas A&M University-Kingsville Herbarium has the task of keeping up with the population of the local flora. 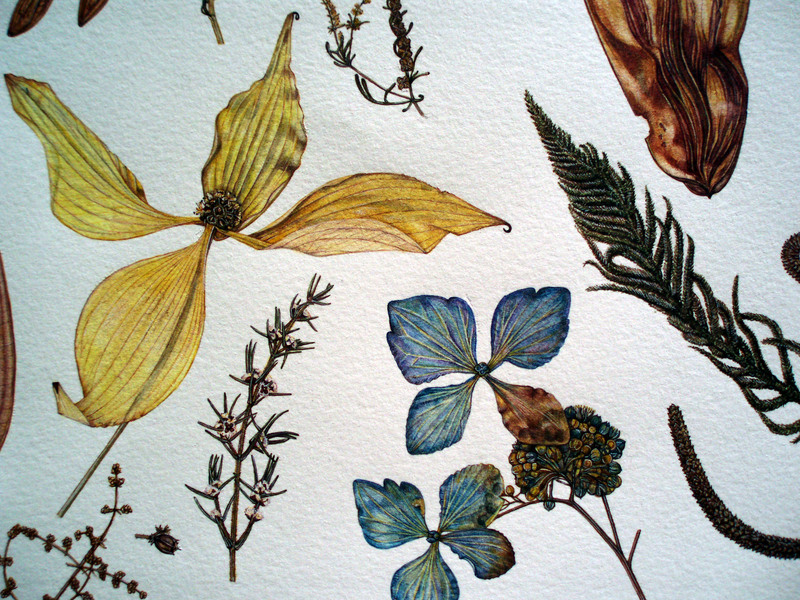 In the future the Herbarium hopes to give the community a better understanding of the diverse flora inhabiting South Texas. 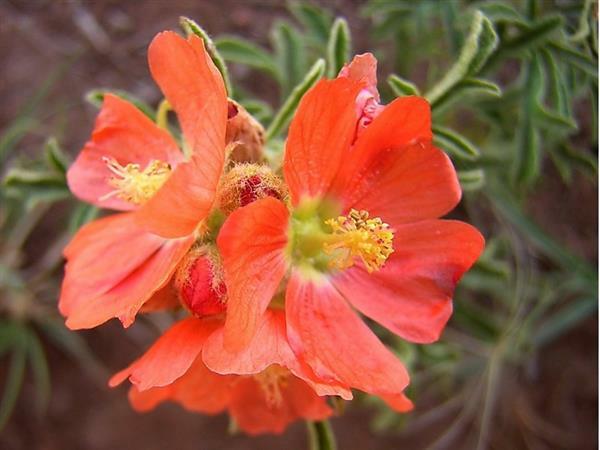 Area residents may not know it, but South Texas has some of the most diverse and prolific flora of the United States. The Texas A&M - Kingsville Bryological Herbarium is currently being established by Dr. Cynthia Galloway. The collection focuses on the mosses and liverworts of south Texas, but also includes collections from other locations in Texas as well as California, Oregon, Washington, Michigan and Georgia. At present the collection is unaccessioned but it is anticipated that approximately 1000+ specimens will be the core of the bryophyte collection. The Bryological Herbarium at TAMUK represents the only working bryological herbarium in south Texas and one of the few in the state. Dr. Galloway's interests in bryophytes are both taxonomic and physiological. Projects underway range from inventorying the bryophytes of Texas, county by county, to determine patterns of distribution and abundance, and determining the physiological and biochemical viability of desiccated and rehydrated bryophytes. Attempts have been made to isolate genes associated with desiccation tolerance in bryophytes and a cDNA library constructed from desiccated Polytrichum juniperinum. The Texas A&M - Kingsville Vascular Plants Herbarium is currently being digitized under the direction of Drs. Weimin Xi and Cynthia Galloway. 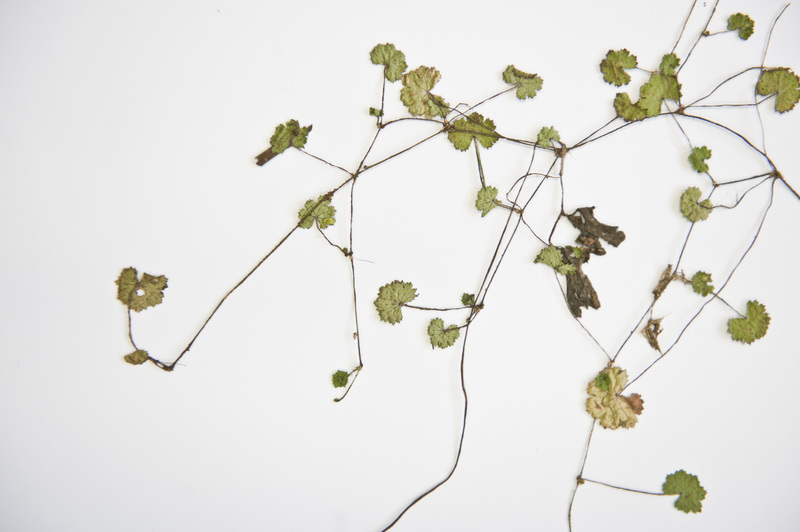 The collection focuses on vascular plant specimen of south Texas. At present the collection is unaccessioned but it will become searchable via internet when the project is completed. It is anticipated that approximately the 7000+ specimens will be the core of the vascular plant collection. The Vascular Plant Herbarium at TAMUK represents the large working herbarium in south Texas and one of the few in the state. The Texas PLANTS Database project is under the direction of Dr. Weimin Xi. The searchable database provides standardized information about the vascular plants, mosses, liverworts, hornworts, and lichens of the State of Texas, including names, symbols, distribution, species abstracts, characteristics, taxonomy, ecology, and reference Web links to the National PLANTS Database. The plant information can be searched by keywords, scientific Name, common name, symbol, genus,family and county, which yields a viewable and downable fully synonymized checklist. The taxonomic checklist data are based on the information from the National PLANTS Database , USDA, NRCS, 2016. 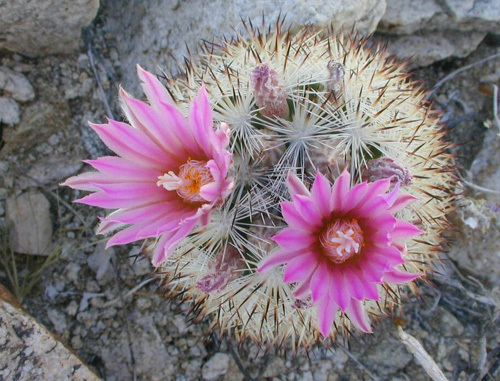 Common low growing cactus on various soils in South Texas, with pale pink or creamy petals and red fruit. The needles of the cactus family are actually modified leaves. This special leaf economizes water loss, allowing the cactus flourish in its naturally dry habitat. 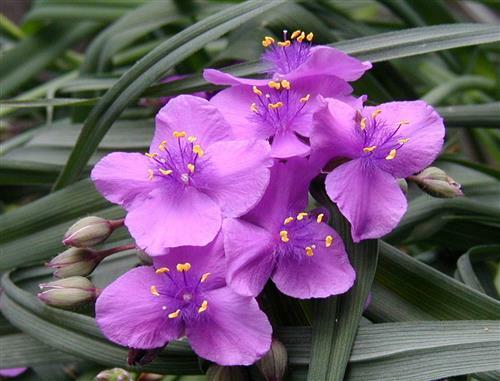 Low growing perennial with three petals, occurring in a variety of shades of blue, rose and purple. Phlox is common Texas wildflower. Some native populations have red flowers. These red forms are often included in commercial wildflower seed mixtures, though pink is much more common in the wild. In South Texas, in the deep sands near Sarita, we have a subspecies called Phlox drummondii subsp. glabriflora with trailing or reclining stems instead of the more upright and erect stems of the typical species. 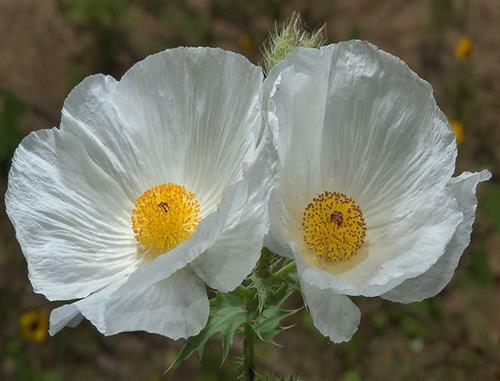 An annual or short lived perennial that may flower for a long period of time. Some Indian Blankets may lack the ray florets. 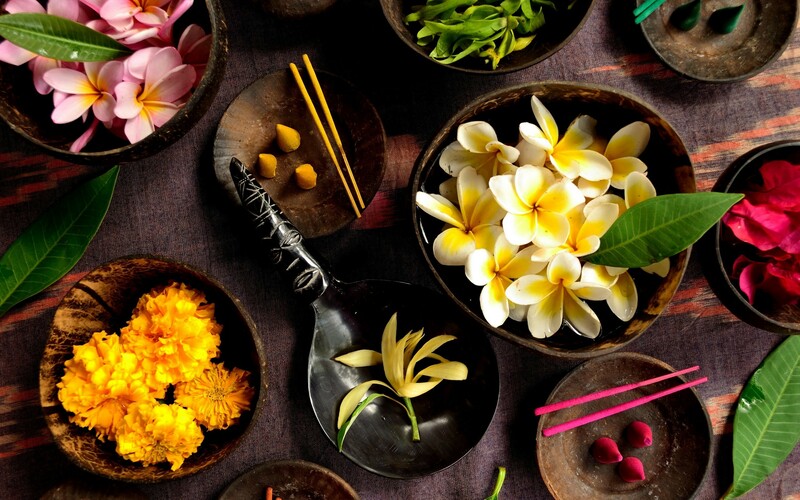 Like all members of the Sunflower Family, the Flower is actually a collection of many tiny flowers or florets. What looks like petals are florets with three of the corolla lobes fused into a single large petal or ray. They are called RAY FLORETS . The florets in the center have five tiny corolla lobes and are called DISK FLORETS. The leaves of this species have thick velvety hairs. It is a common plant in deep sands both inland and along the coast. Like its relative Hibiscus, the stamens of the flower are fused into tube surrounding the female parts of the flower. 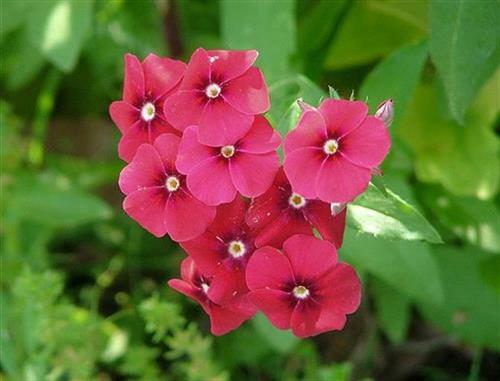 Annual with deep rose-pink flowers in damp sandy soils. A smaller flowered species Sabatia arenicola Greenm. 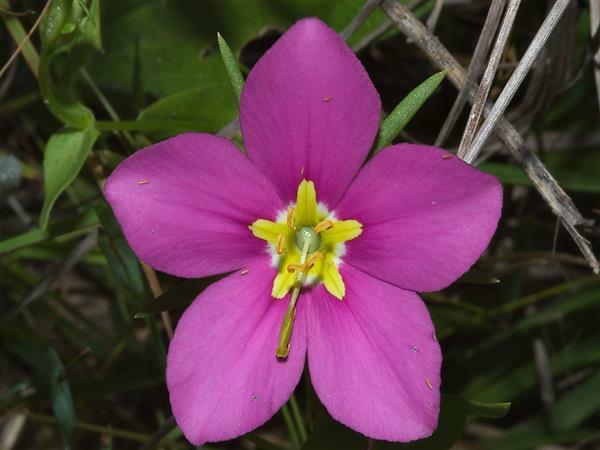 Saltmarsh Pink occurs on the islands and the coast. Phacelia patulaeflora Engelm. & Gray. 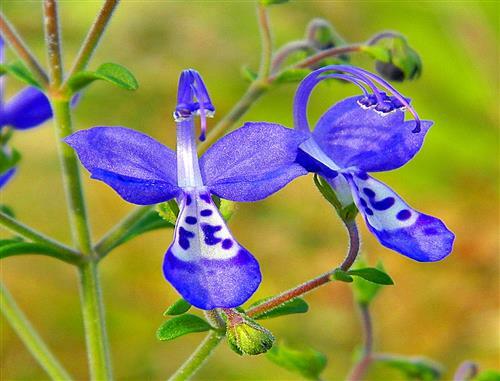 This small but attractive blue wildflower is found on sandy soils. As its common name suggests, the flower stalk uncurls as the flowers open. This is the native Lantana, with a head of small flowers which open yellow and turn to orange and then red. The plant is a weak shrub and often is seen with its branches supported by other shrubbery. 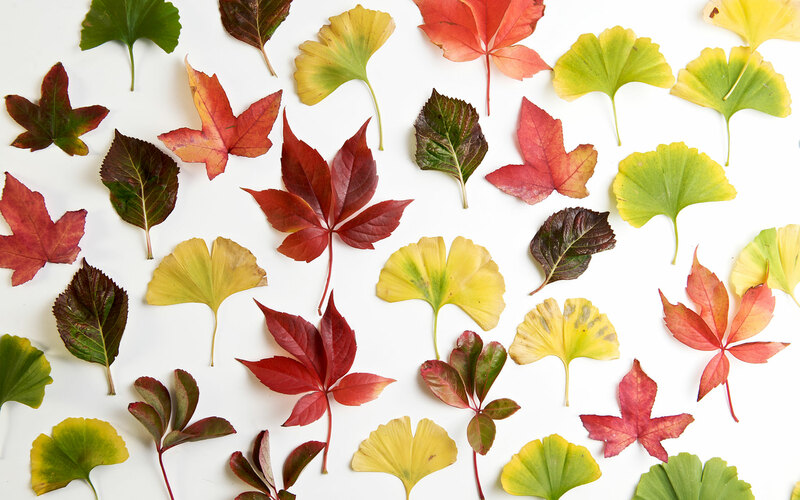 The foliage has a strong somewhat unpleasant odor when crushed or bruised. Dr. Galloway received her B.S. in Botany and M.S. in Biology from California State Polytechnic University, Pomona. She then received her Ph.D in Botany and Plant Sciences from the University of California at Riverside. Her main research focus at this time is on bryophysiology, or the physiology of bryophytes. Away from work, Dr. Galloway enjoys genealogy and reading "any mystery I can get my hands on". Dr. Xi received his M.S. in Botany from Southwest University, China. He then received his Ph.D in Biology from the University of North Carolina at Chapel Hill. He is teaching Plant Taxonomy and Plant Systematics in the department. His main research focus at this time is on plant biology and ecology, biodiversity conservation and ecosystem management, climate change biology and ecoinformatics.